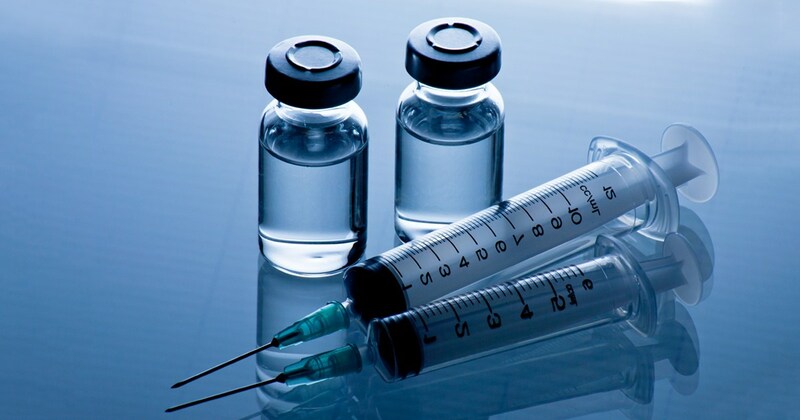 Vaccines are those preparations (produced with toxoids, bacteria, attenuated viruses, killed or made by genetic engineering and other technologies) that are administered to people to generate active and lasting immunity against a disease by stimulating the production of defenses. There is also another type of protection generated from gamma globulins, which produces immediate and transient immunity through the direct application of antibodies. When a vaccine is administered, the immune system recognizes the antigen, interprets it as the disease and produces antibodies (defenses) against it. So if the person comes into contact with the microorganism against which he was vaccinated at some point in his life, the defenses generated by the vaccine are responsible for protecting it to avoid the disease or that it is mild. The application of an injectable vaccine can cause pain, redness and swelling at the application site. These symptoms usually disappear spontaneously. In some cases fever and decay may appear for a couple of days. If any of these symptoms persist you should consult the health professional. Live and attenuated virus vaccines can slightly reproduce the disease, this ensures that we generate defenses. Serious events in relation to vaccines are very rare. Why are vaccines so important? Vaccines and drinking water are the two most important tools for the prevention of diseases. Many years ago, when vaccines did not exist, some diseases produced thousands of deaths per year. A milestone in world public health was the eradication of smallpox in 1980. Work is currently under way to eradicate polio. Thanks to the fact that vaccination is a public health policy in Argentina, no native cases of measles have been reported since 2000, of congenital rubella since 2009, nor are liver transplants performed in children due to fulminant hepatitis A. These same achievements are the ones that make vaccination fundamental as a State policy. What can happen if we do not get vaccinated? In the case of not getting vaccinated, if we have contact with the microorganism that causes the infection, we can have the disease. Some of these diseases can cause major complications or even death. Not so many years ago, our parents and grandparents celebrated the appearance of a new vaccine since it meant reducing the risk that their children died or could be affected for life by contracting an infectious disease. Today this perception has changed, probably because very few of we have seen a loved one suffer from one of these diseases. What we forget unjustly is that this is mainly due to the fact that society is protected through global vaccination plans. The so-called group immunity or flock immunity is the protection of a certain population before an infection due to the presence of an elevated percentage of immune individuals in it. It is based on the fact that vaccination does not only mean individual protection against the disease but it is a solidarity act that allows to protect those most disadvantaged who, due to circumstances, cannot receive vaccine: immunosuppressed, allergic to vaccine components, babies who have not reached the appropriate age of vaccination. Here at Northcote Doc we will help you treat your asthma and have it under control. Contact us today and enjoy the services of true professionals in the area that will help you and your relatives feel fine and stay healthy regardless of the health issue you are facing. Vaccines prevent, currently, about 3 million deaths a year worldwide. And since 1990, thanks to them, mortality in children under 5 has been reduced by 52%. Any preparation intended to generate immunity against a disease is considered a vaccine. They reinforce our immune system and are effective in preventing serious and life-threatening diseases. How do they work? The vaccines teach our body to defend itself when a microorganism – virus or bacteria – invades it. To achieve this, they recreate the disease without producing the infection and, in this way, stimulate our immune system to produce antibodies that protect and immunize against these diseases. 1- Save lives: some infectious diseases can have serious and even deadly consequences for our health. Therefore, it is important that children, adolescents and seniors meet the vaccination schedule to prevent these diseases. Vaccines are one of the public health measures that have saved the most lives throughout history. 2- They help to control, eliminate and even eradicate diseases: smallpox, for example, has been eradicated thanks to vaccines. If the number of people vaccinated in the population decreases, diseases that now are not usually registered because they are controlled, could reappear in the form of outbreaks or epidemics. 3- Not only do they protect you, they also protect your entire community: to deal with a disease, it is necessary that the population is vaccinated. Thus, the microorganism that causes it circulates much less and people who have not been vaccinated are also protected. This is known as community immunity. 4- They are important for certain risk groups: vaccination is crucial for people suffering from certain chronic diseases (diabetes, obesity, asthma, etc. ), since it can avoid complications of them; for pregnant women; people who in the development of their profession have contact with people more vulnerable to certain infectious diseases; or for people who are going to travel to another country. 5- They have social and economic benefits: vaccines are an instrument of equity since they reduce inequality in health care, bringing benefits also to the most disadvantaged. And, in addition, vaccination increases life expectancy. On the other hand, vaccines have economic benefits because their health expenditure is lower if we compare it with the cost of treating that disease. Remember: if the vaccine has been dispensed at the pharmacy, the container should not be thrown in the trash or the drain. Keep in mind that constant check-ups and evaluations with experts are the most reliable choice and practises to keep your body under control. Here at Northcote Doc you will find second to none services by the hand of experienced professionals that will ensure you are properly evaluated and remain healthy.